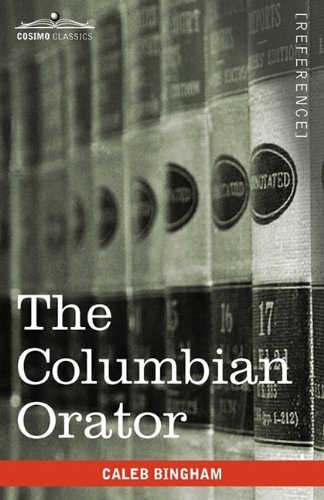 The Columbian Orator, an instruction book on public speaking and a collection of political dialogues, essays, and speeches, was first published in 1797. It was used as a textbook in many classrooms in the United States and became the influence for abolitionist Frederick Douglass. Its popularity continued into the 20th century for its demonstration of the power of speech and its importance to the human rights movement. CALEB BINGHAM (1757-1817) was a textbook author, publisher, and bookseller in Boston, Massachusetts. Born in Salisbury, Connecticut, he was educated and taught at Dartmouth College. His most famous works were on public speaking, including the well-known The Columbian Orator. Other textbooks Bingham wrote on grammar and speech include The American Preceptor and The Young Lady's Accidence.